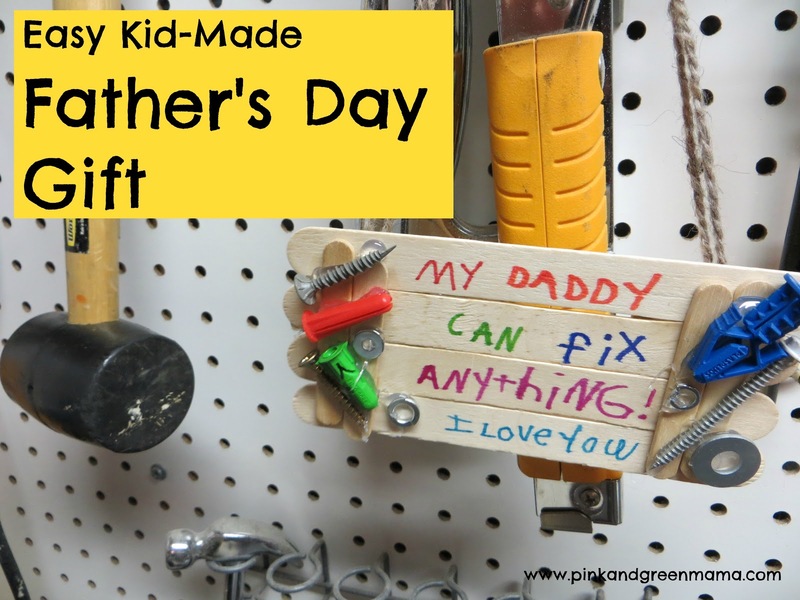 this year that would be perfect Father's Day gifts too, so I'm sharing them here with you today! 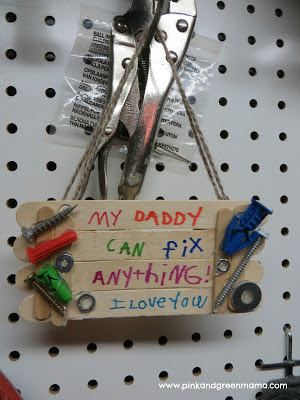 "C" my 6 year old made this Daddy Fix-It sign for my husband. 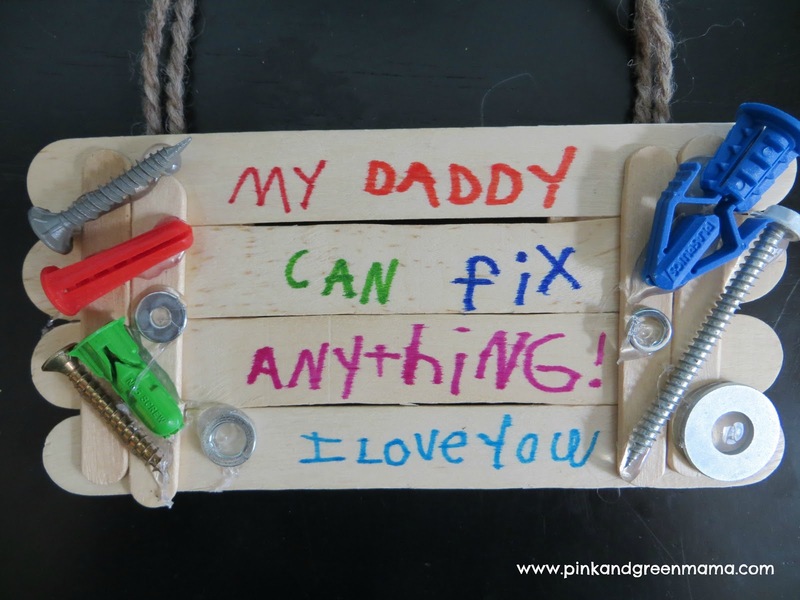 He's a homebuilder and a very handy guy to have around, he really can fix anything. Don't know what we'd do without him around here! We loved this project from B-inspired Mama and it was the jumping off point for our own gift! 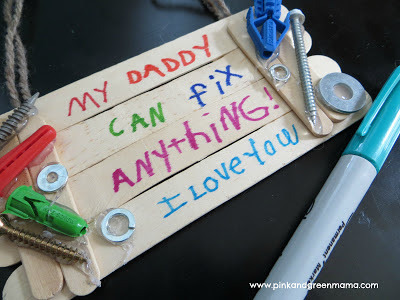 She glued popsicle sticks together and wrote the message with sharpie. 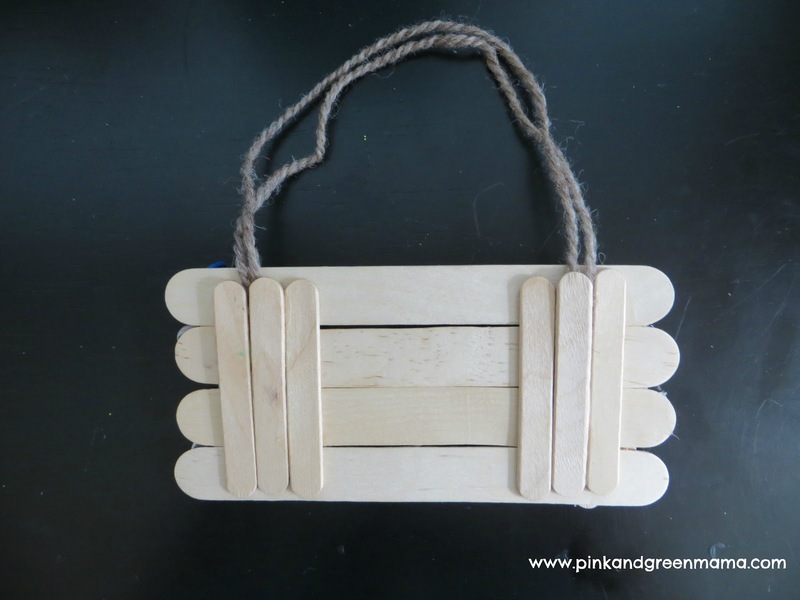 The tiny popsicle sticks on the side are from Michaels' "Creatology" brand. 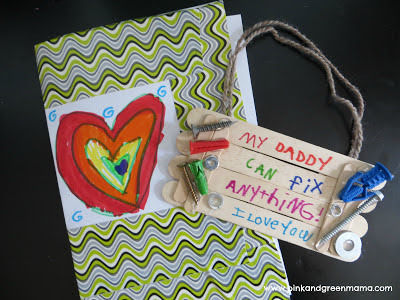 She made a Duct Tape card to go with it - I love the rainbow heart. from daddy's tool box and I glue-gunned them to her sign. 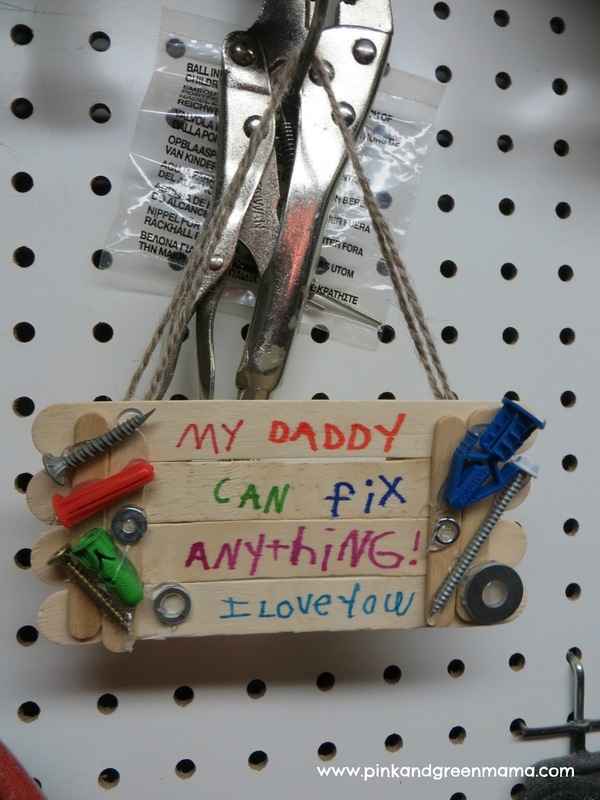 Daddy's special sign is hanging in a place of honor in his workshop! 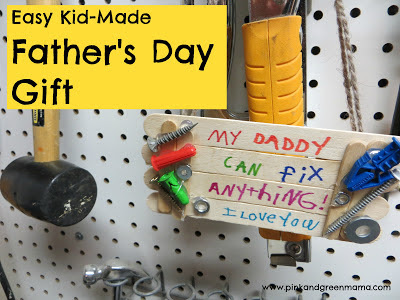 Happy (Homemade) Daddy Gift Making! 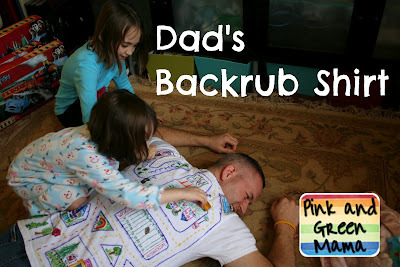 Last year's Back Rub t-Shirt Was a Huge Hit too!